Sc. 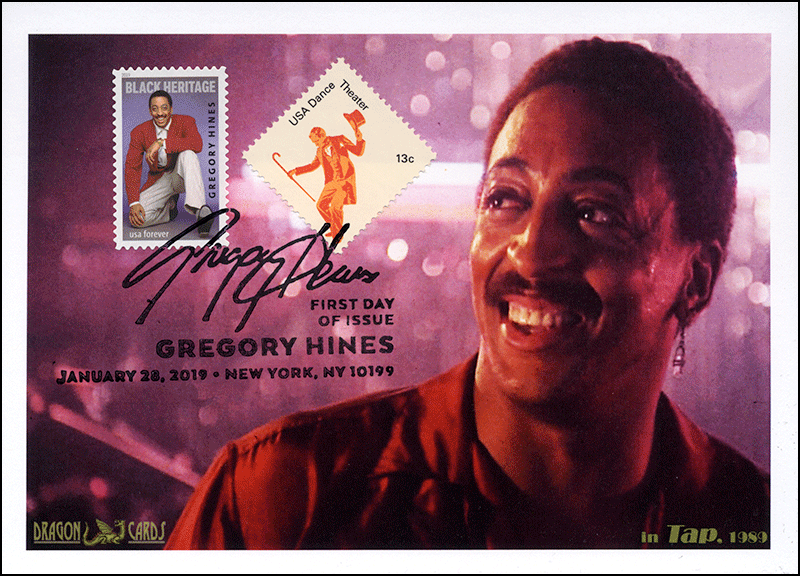 5349 Gregory Hines on a 5"x7" Dragon Card showing a scene from the dance finale of Hines' 1989 movie "Tap." The new stamp and Sc. 1750 Theater Dancing from the 1978 American Dance set are tied by the pictorial first-day postmark. Great for a movies-, dance- or Black-History-on-stamps collection!